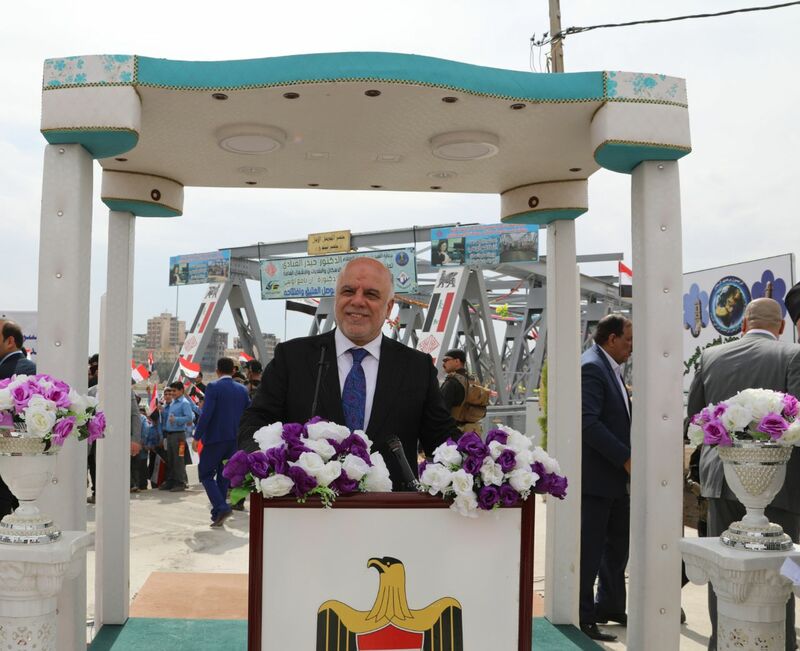 His Excellency Prime Minister Dr. Haider Al-Abadi has inaugurated the ancient bridge in Mosul's city amid a large celebration held by Mosul's citizens. His Excellency has confirmed that the bridge was reconstructed by Iraqi hands 100 percent during a record period, indicating that Daesh wanted to destroy everything, but we did win over them and we will rebuild what they have destroyed. Dr. Haider Al-Abadi has said: "I promise Nineveh's citizens that reconstruction is progressing in full power and restoring stability to the province is continuing.